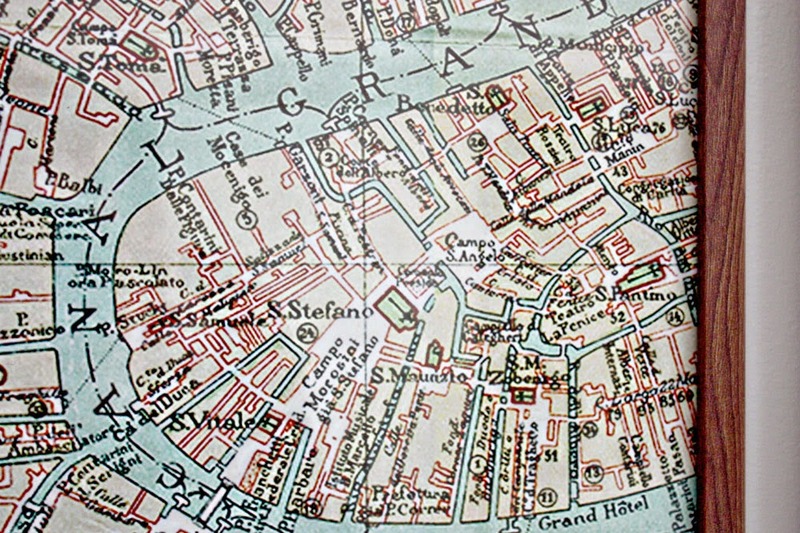 Just wanted to pop in to show y'all a great resource I found for vintage maps. All the maps here are high res, in the public domain, and have a nice vintage feel to them -- perfect for printing and framing. 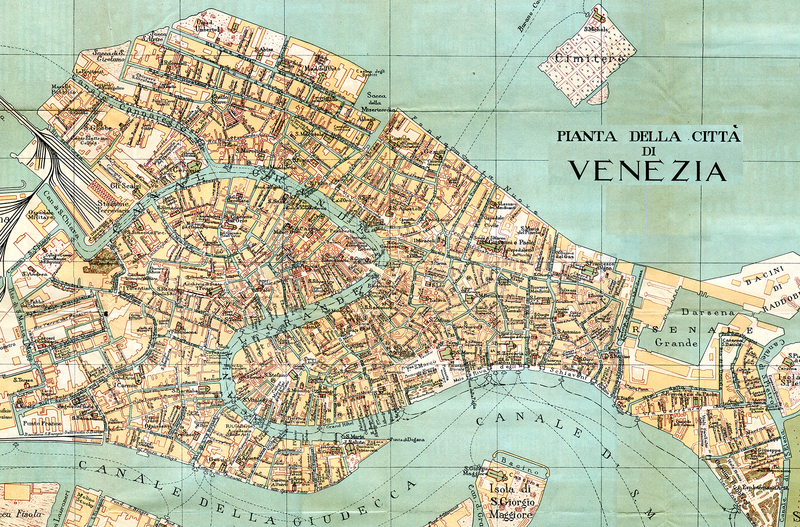 I downloaded this map of Venice (where Keith and I went on our honeymoon), resized it, divided it into six, and had it printed. I resized each print to 16x20" to fit my frames, and the resolution is still good. 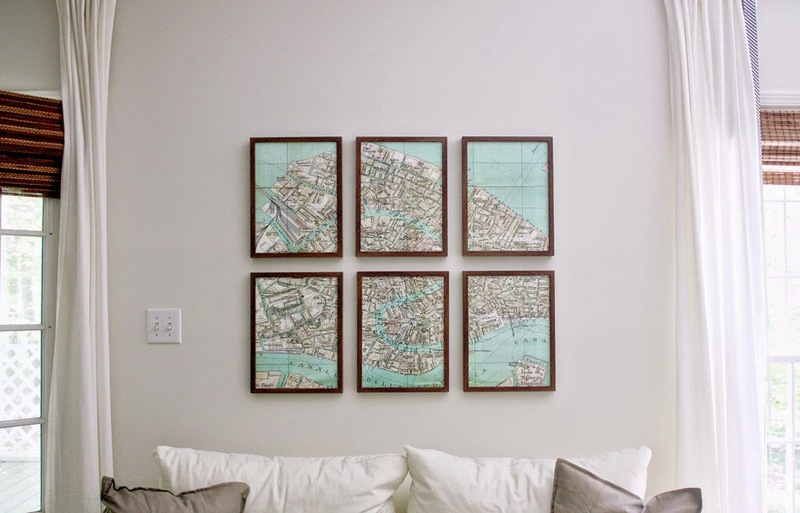 The site has maps from many European countries and cities, all great for framing, and free to download. Enjoy! Oh, and if anyone happens to be headed to Venice (lucky you! ), I highly recommend the Hotel Foscari Palace and, of course, the gelato!